Our wood-burning stoves are designed for floor- or wall-mounting. They do not need to be built into a partition. 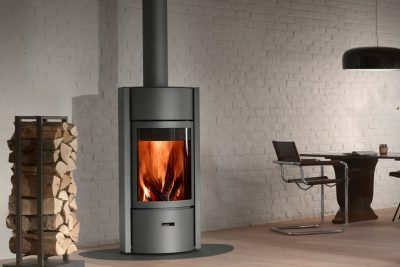 Stûv stoves are available in many formats and sizes, with sizes which vary according to the heat output; they are designed to deliver their maximum output when running in closed mode, while still allowing the heat output to be adjusted.